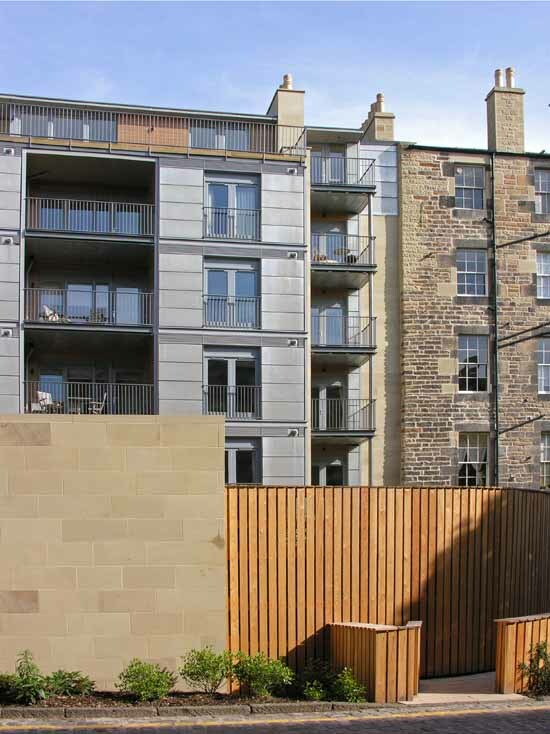 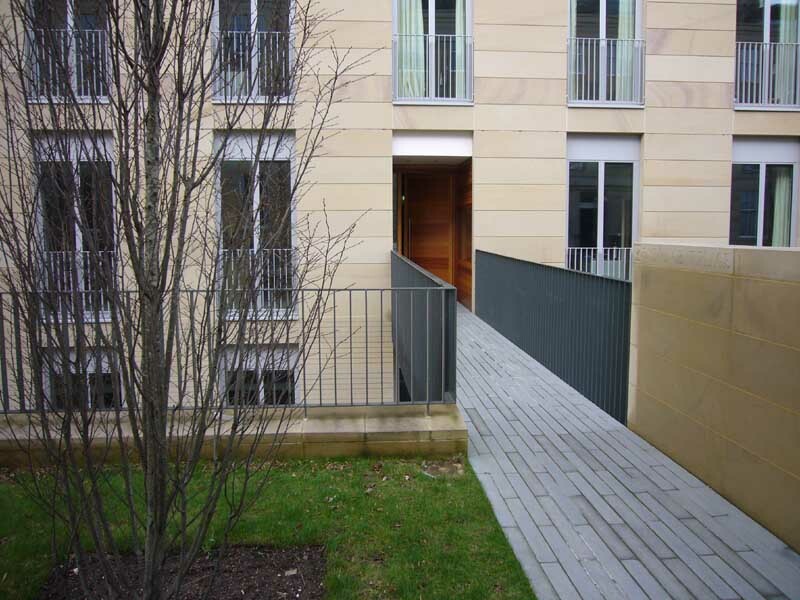 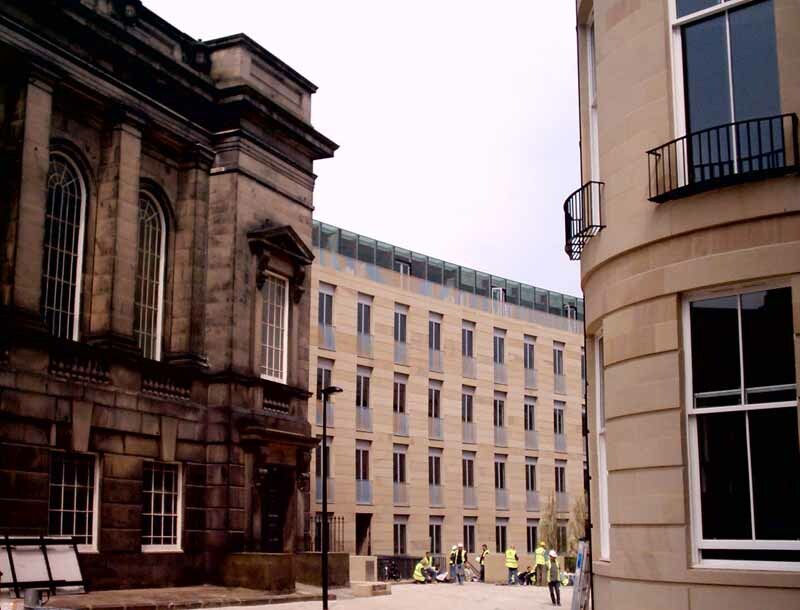 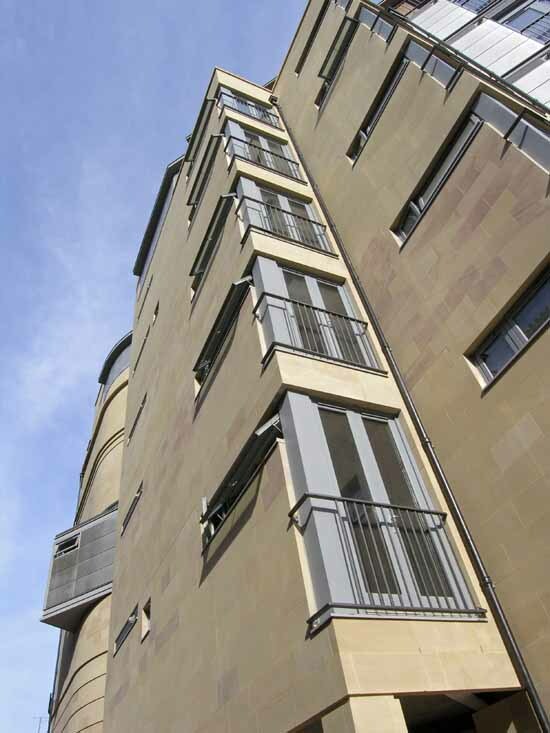 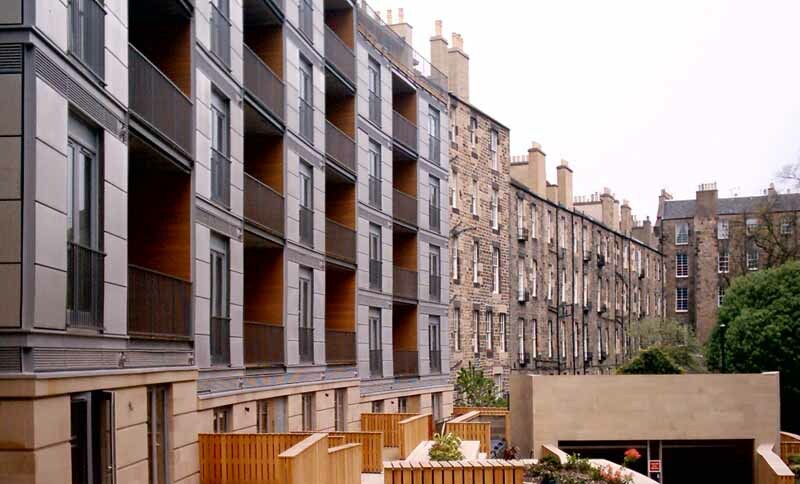 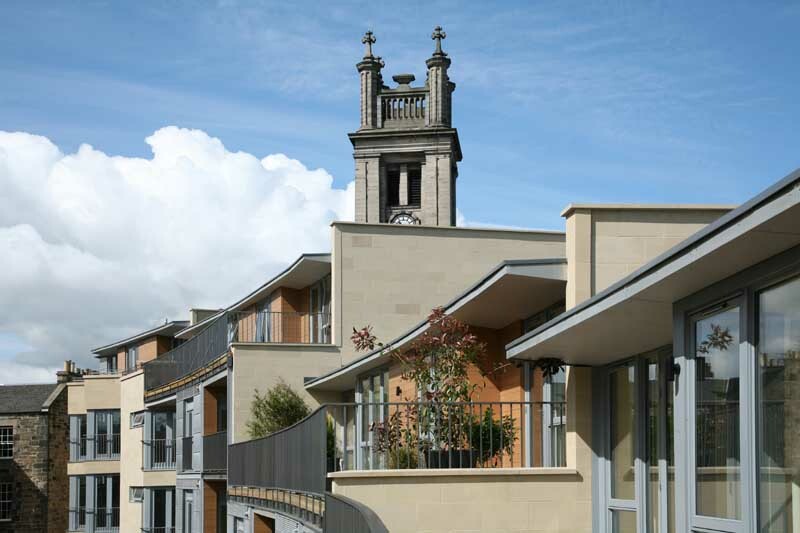 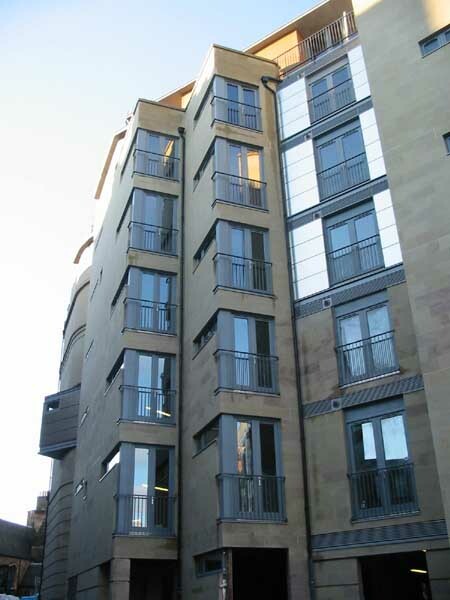 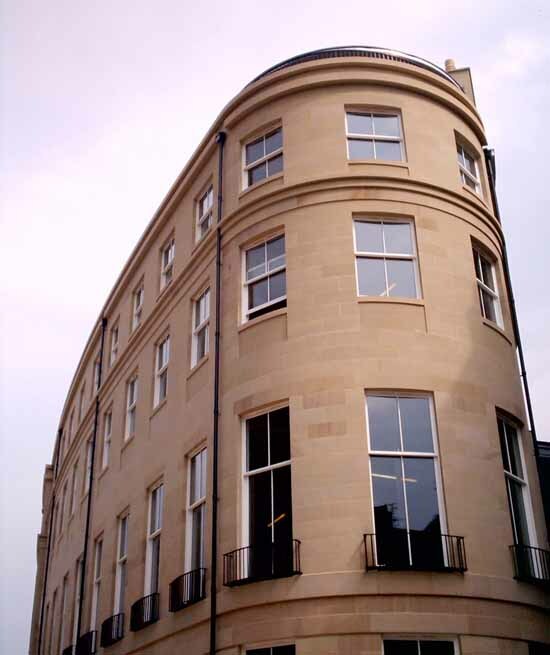 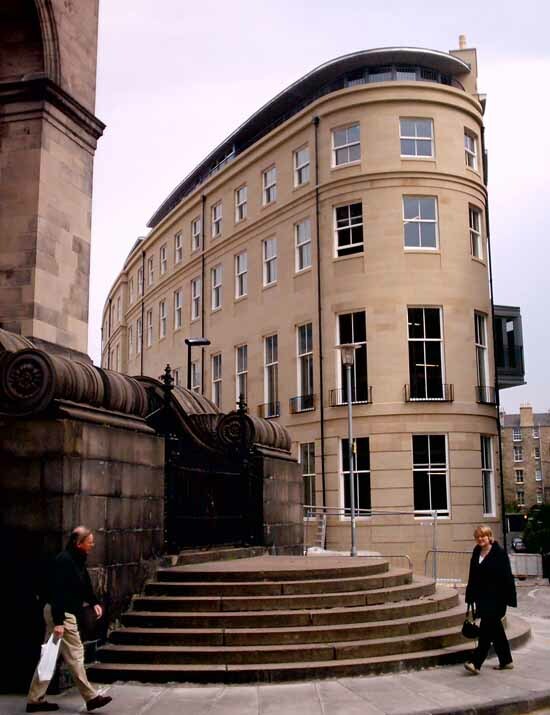 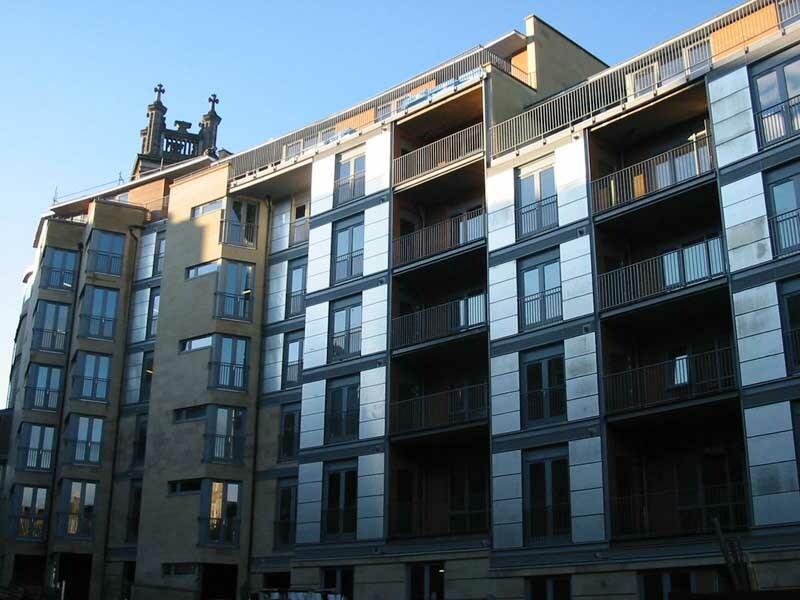 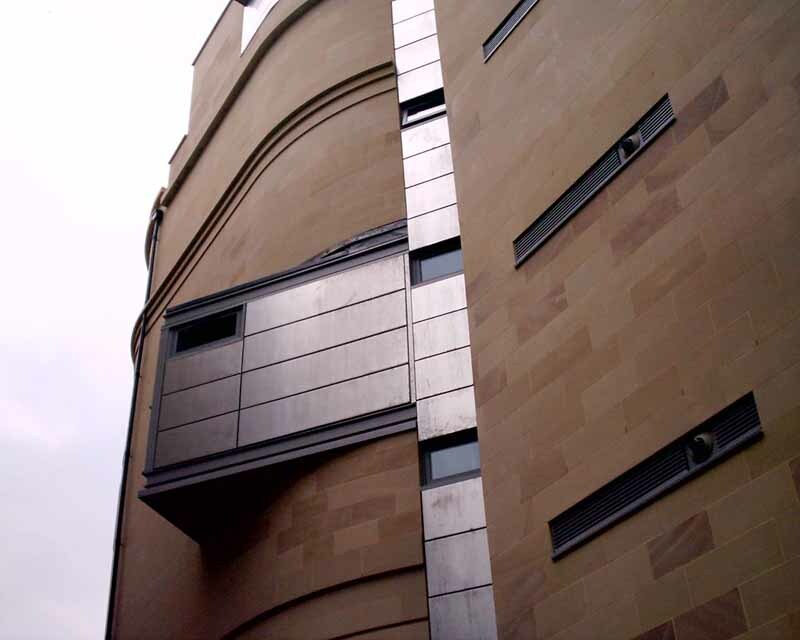 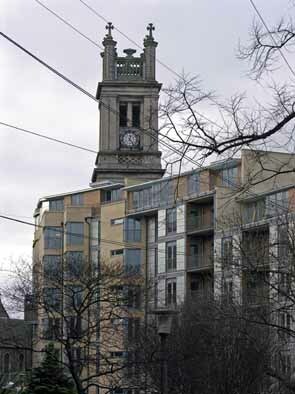 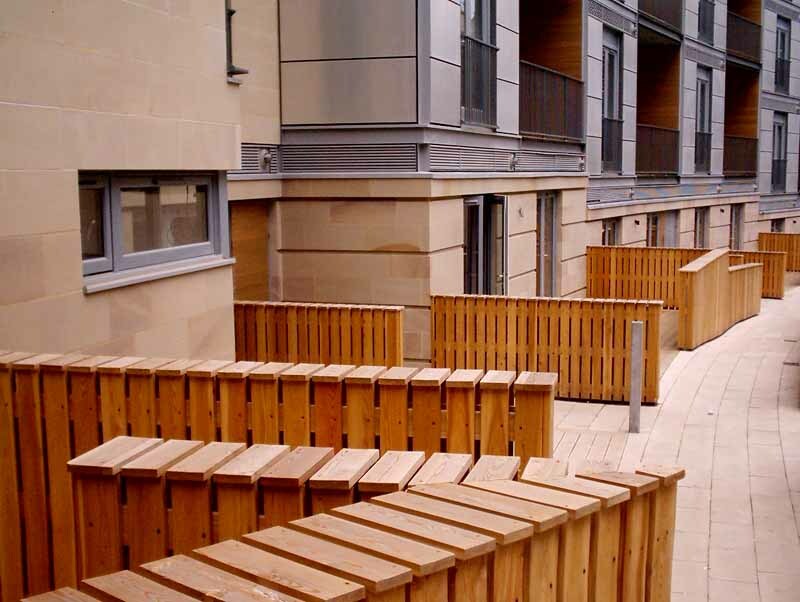 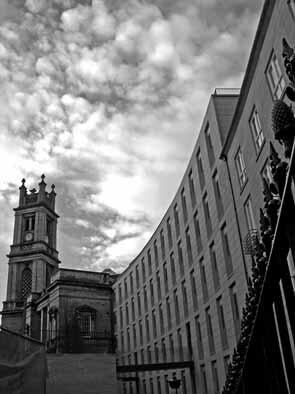 This city-centre project sits within the heart of Edinburgh’s New Town World Heritage site. 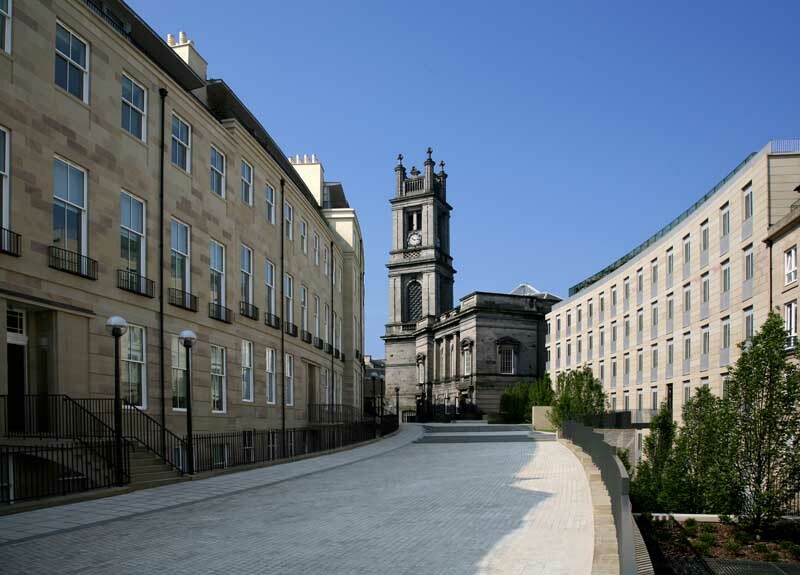 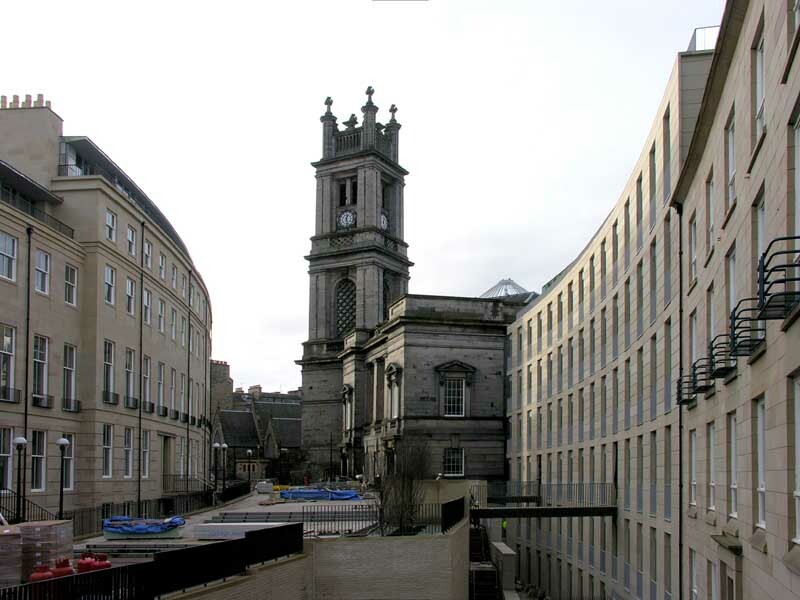 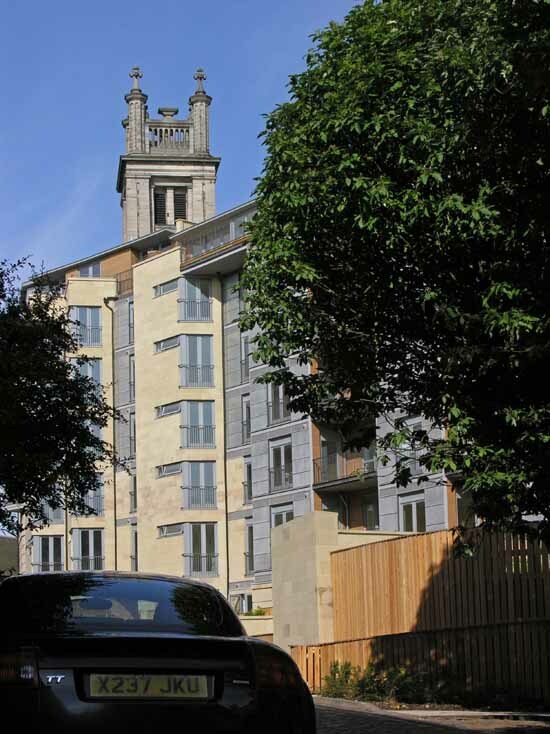 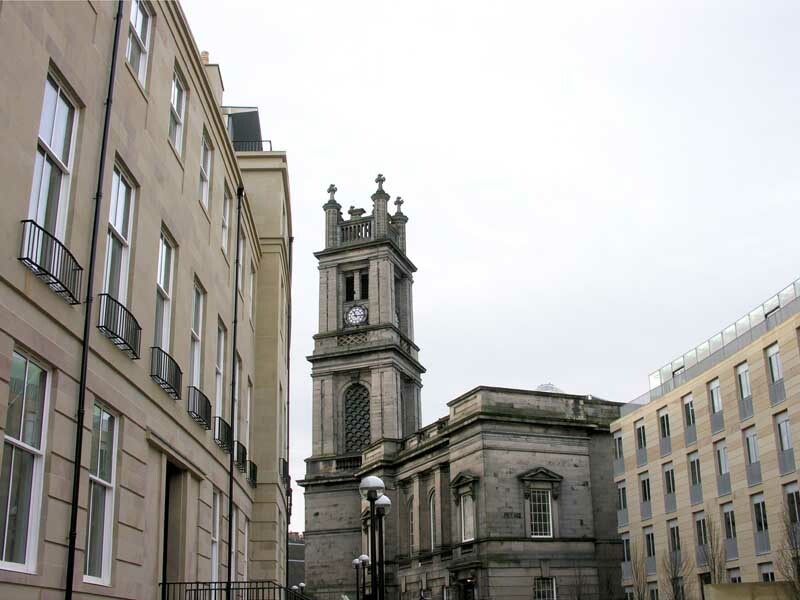 Reiach and Hall’s masterplan and streetscape for this significant gap site next to Playfair’s A-listed St Stephen’s Church provides high quality residential and commercial units within a new build 7 storey city block. 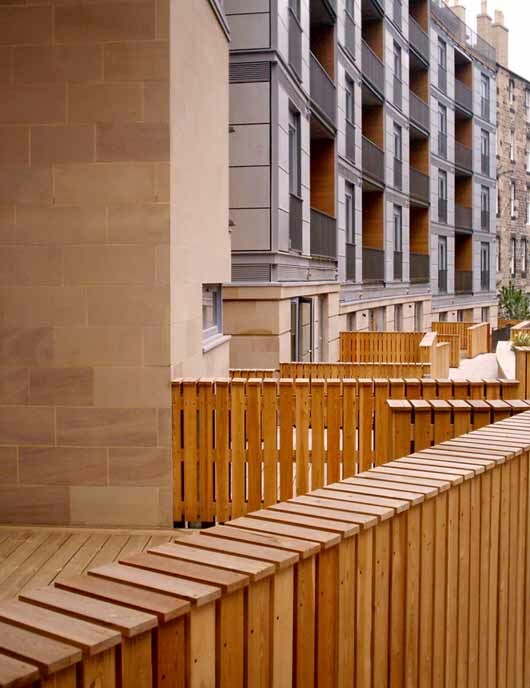 The North Block by Reiach and Hall Architects offers 24 residential apartments with underground parking and accessible roof decks. 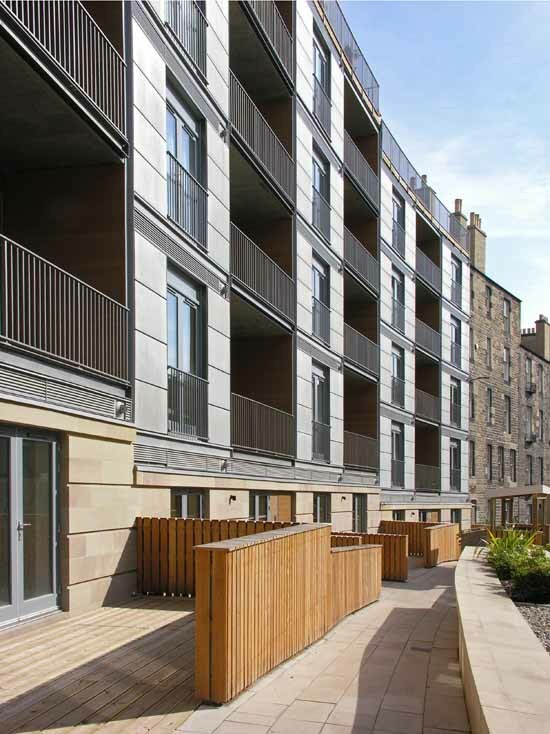 Ground floor commercial units address the newly formed landscaped granite streetscape. 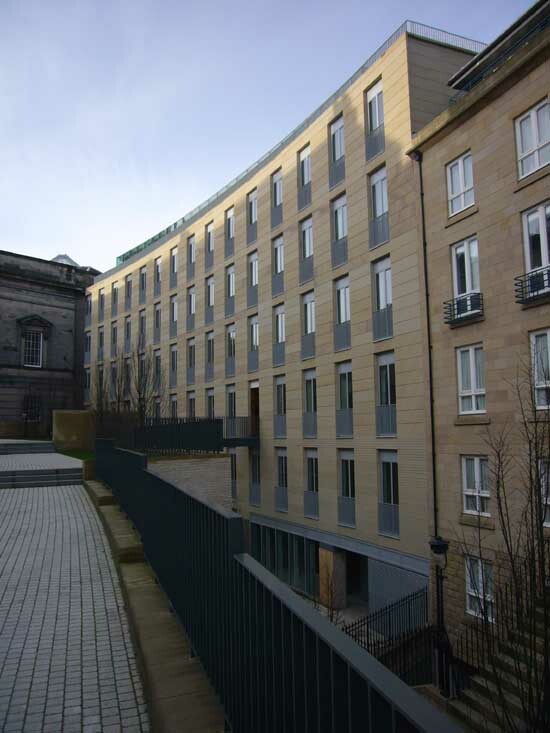 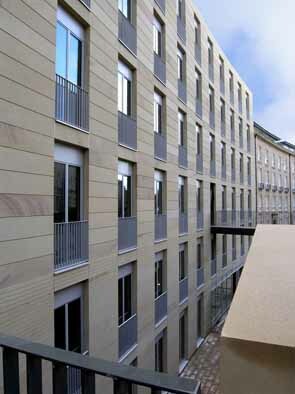 The south block by Oberlanders Architects offers residential accommodation with a Georgian-proportioned elevation to St Vincent Place and glazed penthouse apartments.